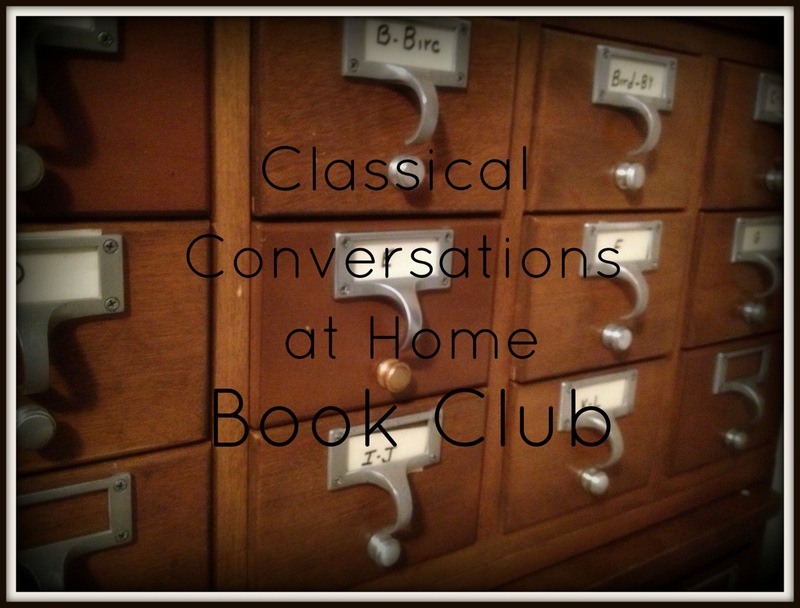 Beth at Classical Conversations at Home organized the CC at Home Book Club last month, and I'm proud to be a happy participant! Joining this book club was the catalyst to my obsession learning more about classical education. Click here and here for more on that. So thank you, Beth, for giving me the push I needed to start educating myself! Our first selection was Teaching the Trivium by Harvey and Laurie Bluedorn. This book is a BIG book, clocking in at 637 pages total. It's also comprehensive, covering everything from child training in the early years to college options and beyond. And while The Well-Trained Mind, which I reviewed here, was, in my opinion, neutral, Teaching the Trivium is written from a very conservative Christian worldview, which is great. No less than three articles in the appendix (which is enormous, by the way), as well as many pages in the book are devoted to Christian topics. One of my favorite parts of the book is their list of things to do before age 10, which can be read for FREE on their blog, Trivium Pursuit, right here! I'm not going to spend time dissecting the book and discussing what's in each chapter. 'Life' has happened this week (Anna's kidneys aren't draining properly, so we're adding a urologist to our arsenal of doctors), so my free time to write is very short; you'll have to read the book for yourself if you want details. ;) However, I will share my favorite quotes, point out some controversial topics, and leave you with my final thoughts. Oh, I love this! What a lovely reminder to focus on what's important. On pages 90 and 91 is a wonderful analogy to help explain the Trivium. Knowledge (grammar stage) is the input. Understanding (logic/dialectic stage) is the processing. Wisdom (rhetoric) is the output. I know this is probably blatantly obvious to everyone else, but seeing the Trivium like this really helped it all click for me. Every, and I mean EVERY classical education book I've read has emphasized the importance of reading aloud to our children. The Bluedorns suggest two hours a day (not necessarily consecutively), and Leigh Bortins recommends at least one hour a day in her book, The Core. Andrew Pudewa, founder of Institute for Excellence in Writing (which is used by Classical Conversations), says in his conference talk, "Nurturing Competent Communicators," that he would consider throwing out other subjects entirely in the younger grades to have the time to simply read aloud for a couple of hours to his children. It's that important! We've recently begun a read aloud time in the evenings, which I'll post about soon (I love it!). This is a wonderful reference book of 400 Bluedorn-recommended read alouds with their summaries and reading levels. So awesome! And since I know the Bluedorns' worldview, I know they're not recommending crazy stuff (very important). The authors spend a good deal of time addressing parenting issues, which is one area that makes this book unique from the other classical education books I've read recently. At least three different times throughout the book they say that the early years are more training than teaching. 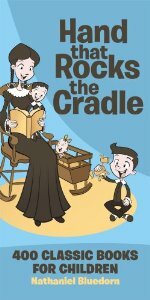 I realized after reading these passages that Mary, my five-year-old, could be doing so much more around the house. We also changed our nightly clean-up routine after reading this book and this amazing post from Living Well Spending Less (it's titled Why I Took My Kids' Toys Away - And Why They Won't Get Them Back! Aren't you curious?! Oh, y'all, it's awesome! Go check it out!). In our house now, the girls have a set amount of time to pick up their toys. Anything left on the floor when they go to bed goes into the 'donate' bag and disappears. We haven't actually donated anything yet, but they don't know that. We have lots of toys in our donate bag now, and they haven't once asked for anything back. I'm pretty sure we have too many toys if they're not even missing the big bag of toys hidden in the laundry room. If you own the book and have younger children, I would suggest reading chapters 4 and 11. These chapters are just packed with good stuff, too much to get into in this little review. It's obvious to me that the authors have poured their heart and soul into this book. If you were to tell me, "Okay, here's your one big shot to write a book on education. Go for it, and don't leave anything out!" it may look like this book. It really does talk about everything! And one can't talk about 'everything' without having some controversial ideas, and this book has its share. As you might can infer from the above quotes, the Bluedorns endorse a Little House on the Prairie type of living. They encourage girls to learn knitting, crocheting, and sewing (p. 330) and encourage a life on the farm (still searching for this reference, but I'm 100% positive I read that in this book). 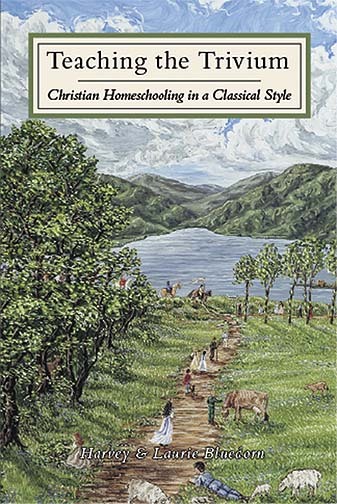 There is absolutely nothing amiss with these suggestions, but I don't find that leaving the 'city life' for a slower pace on the farm is reasonable for every homeschool family; I know it wouldn't work for ours. I do appreciate what they're trying to say by adopting this lifestyle (helping the family through chores, no screen time, plenty of outside play and exploration, etc. ), and I personally know of some families who have done this and are thriving, but it's not for everyone. The authors suggest that there should be no formal math instruction until age 10, when they believe the child's brain is ready to handle more abstract concepts. In the appendix, they have included an article on the history and research of the teaching of math, which explains their position in much more detail. Now, the authors do acknowledge that math cannot be avoided until age 10. They give a list of suggestions on how to cover the basics (addition, subtraction, etc.) on page 373 that includes setting the table, games where children keep score, playing store and restaurant, and playing with Cuisenaire rods. Obviously, many parents would have to disagree here with their premise. I, also, believe that most children are able to handle formal math instruction before age 10. While CC says on its site, "We believe math should be taught classically in grammar school, but wholeheartedly endorse the rest of this great book," I'm pretty sure there might be one or two other bones of contention between the two. Maybe it's just me, but if your child can memorize Bible passages in Greek, Latin, and English, she might be able to handle a first grade math curriculum. Keep in mind, this is all in the chapter about things to do before age 10. I agree with the memorizing, and I've seen my five-year-old commit to memory things I never thought possible (and retain them! ), but I think that formal academic instruction is certainly doable in the early years (and I don't consider it 'force feeding'). It's probably a nuance to most people, but since my girls love Greek mythology, I was interested to see the authors' opinion on the subject. Teaching the Trivium is against mythology altogether, believing that time is better spent not studying tales of pagan gods. I've been on both sides of the fence with mythology, but in the end we decided to use it as a teaching tool. Our girls know the Greek and Roman gods are not real, and we've read in the Bible how God deals with false gods. Now, if you were to disagree with me here, I certainly wouldn't fault you. Whether or not to read mythology is each family's personal choice. Classical Conversations's opinion differs from the Bluedorns' in this respect. For example, in Cycle 1, Week 3, we memorize the names of the Greek and Roman gods, and I believe in the Challenge program (7th-12th grades) students read The Iliad and/or The Odyssey (at least, they were sold in the CC Practicum bookstore in the Challenge section). After reading The Well-Trained Mind recently and noticing its political correctness, it was refreshing to see how passionate Harvey and Laurie Bluedorn are in their convictions in Teaching the Trivium. I don't agree with everything in the book, but it's still a wonderful reference to own. I have it all tabbed up now, and I anticipate returning to it often throughout our homeschool journey. Did you have a chance to read it yet? If so, what do you think? What was your biggest take-away? loved reading your thoughts! thanks for sharing! !